This book is a compilation of the bench experience of leading experts from various research labs involved in the cutting edge area of research. The authors describe the use of stem cells both as part of the combinatorial therapeutic intervention approach and as tools (disease model) during drug development, highlighting the shift from a conventional symptomatic treatment strategy to addressing the root cause of the disease process. 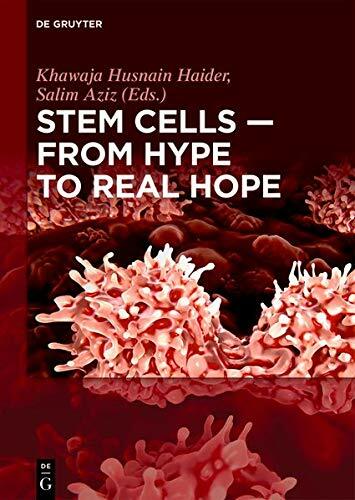 The book is a continuum of the previously published book entitled “Stem Cells: from Drug to Drug Discovery” which was published in 2017. This entry was posted in stem cell research and tagged Cells., From, Hope, Hype, Real, stem. Bookmark the permalink.